Located on St. Petersburg downtown waterfront, MFA showcases an impressive fine art collection covering almost 5,000 years of civilization, as well as traveling exhibitions and exciting events. Discover American, European, Asian and African art throughout the ages - from ancient to abstract to contemporary and folk - at the Museum of Fine Arts, the only comprehensive art collection of its kind on Florida's west coast. Marvel at masterpieces from Monet, De Koonig, O'Keeffe, and Whistler. 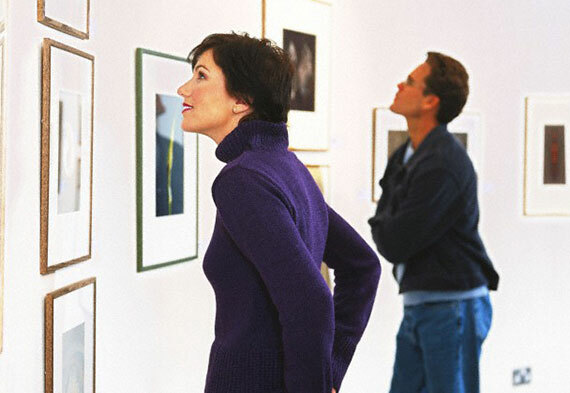 Explore the beautiful sculpture garden, with works by Rodin, the Steuben glass gallery, and one of Florida's most acclaimed collections of photography. Where can I park at the Museum? You will find metered street parking on Beach Drive and Bayshore Boulevard with entrances on the east and west sides of the museum. There are also several parking garages and lots within walking distance. Is there dining inside the museum? Yes. Located inside the Museum’s glass Conservatory, the MFA Café is a casual dining spot to enjoy a gourmet lunch and drinks overlooking the St. Petersburg waterfront. Enjoy freshly prepared foods and changing menus with artisanal sandwiches, salads, soups and daily specials.